Tropic Star is a quiet, friendly resort with an eager and engaging staff. Our pool, shuffleboard courts and all our other amenities are in superb condition. Live alongside other RV enthusiasts and join a remarkable community. Tip O' Texas was developed over time, with care and precision. Our amenities are top-notch, and the area is groomed to perfection. Morning walks and strolls through the resort are always blissful. Even the landscaping is beautiful! With an engaging staff and enthusiastic community, Tip O' Texas really does have it all. At Trophy Gardens, the only priority is the guest's comfort, and we're proud of it! The Trophy Gardens Community is settled, kind, and hospitable. Consider staying with us if you're looking for more than an RV site! The surrounding area is remarkably gorgeous. Take a bike out and enjoy what Trophy Gardens has to offer. Enjoy seclusion in the Rio Grande Valley. The serenity of the scenery and kindness of the community make Blue Bonnet the heart of the Rio Grande! We're always ready to provide top-tier amenities and activities. Gather up some pals and meet at the Shuffle court! Live the RV Lifestyle at Blue Bonnet with other real RV enthusiasts. 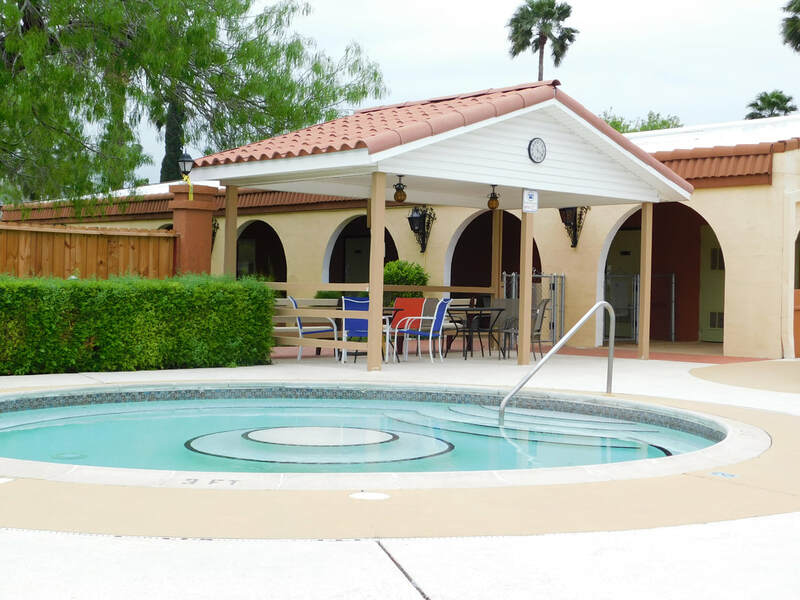 In the Rio Grande Valley, Winter Ranch RV Resort offers the quiet peace of the country, yet it is a short drive from a variety of local attractions​. Our courtyard, community hall, pool and other amenities are in tip top shape! We're always starting up new activities too. Updated shuffleboard courts mean a challenge for you and your friends! Nestled in the great Oaks of the Rio Grande is Texas Trails. A stunning RV Resort with a fresh community hall and updated sites. Texas Trails is quiet, peaceful, and surrounded by local attractions. Our amenities are all in great shape, however this year we've gone above and beyond with renovations. Can't wait to see you out there! We've got personality at Park Place Estates. But not just that, we've got clean utilities, beautiful RV sites and a knack for shuffleboard. Whether you're looking for an RV site for a park model rental, Park Place Estates has somewhere for you to stay- and something to do! Escape the Northern winter at Park Place Estates, where 65 degrees is considered chilly. Sounds nice, eh? Huge, new community hall for all our indoor activities! Dances, basket weaving, Bingo, trivia nights and more! Alamo Rose features some of the best sites for an RV. Huge stretch concrete pads, clean grass and plenty of space. Our pools, courts and other amenities are all in great shape!